Taking Wheel Thrown Pottery to Beautiful & Inspiring New Heights. 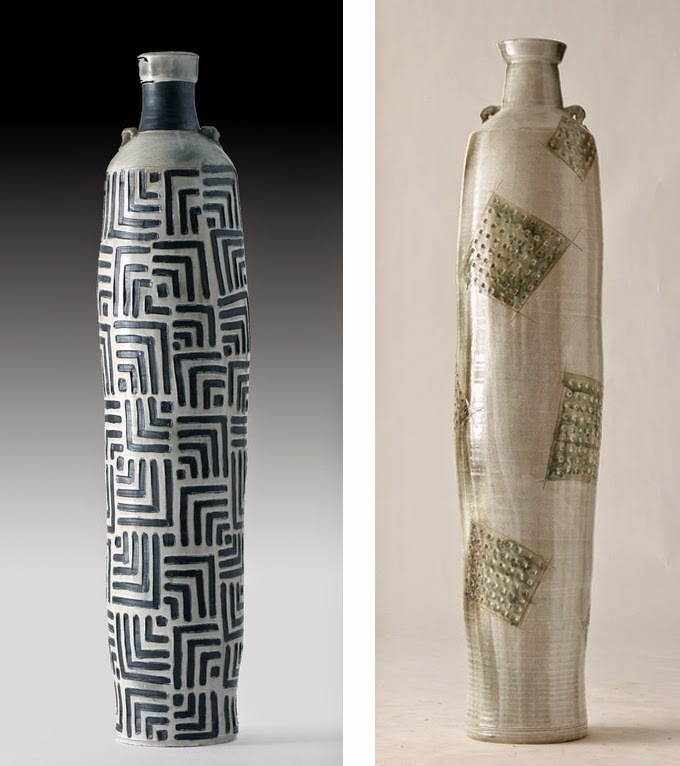 Large Scale Ceramics as the Perfect Vessels for Self-Expression. While I will agree that modern technology has revolutionized art in many ways, from techniques to materials, there is something to be said for appreciating your background and returning to the classics, at least to gain a foundation. There are countless aspects of art that will never change, and beautiful, modern pieces can be produced in much the same way that ancient artists worked. This is especially true of Ceramic Art, and in looking at the work of Potter Andrew Otis, I can see that he must know exactly what I mean. 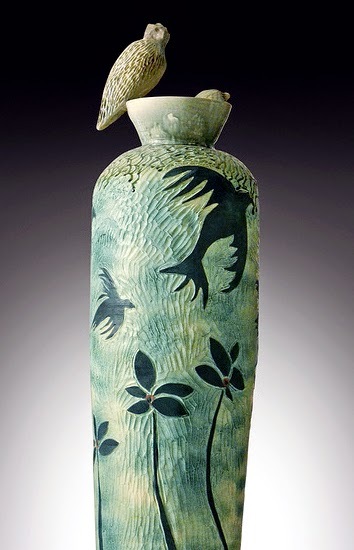 He has been around clay much of his life, with both of his parents well practiced in the art of pottery. As he explored his own artistic calling, he made the decision to apprentice with them before branching out. The years he spent under the direction of these other artists allowed him to hone his technique and deepen his understanding of the boundaries of this medium. 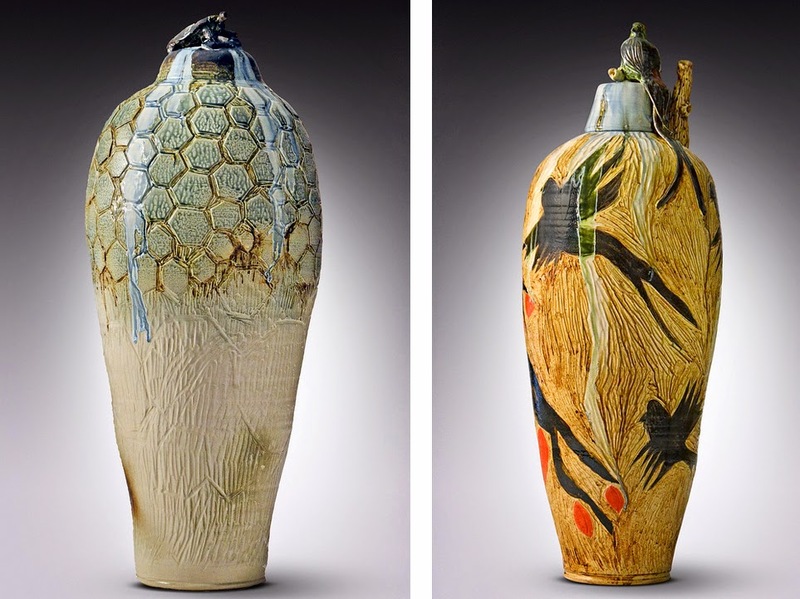 From there, he let creativity be his guide, crafting one-of-a-kind ceramic vessels at a much larger scale than many of us may be used to seeing. Wheel thrown pottery takes patience, and given the heights Andrew likes to rise to, he must also employ great strength. But in his eyes, the benefit of working with 3 to 6 foot tall pieces is that it opens up a much larger canvas to then embellish with carving and painted designs. Andrew’s inspiration comes most often from his Asian heritage as well as his appreciation of nature. He commonly uses earth tones that work well with their ceramic background and design elements that highlight many elements of the natural world. Andrew’s work takes a time intensive process, but each piece is a show stopper that will catch your eye in a split second!